Liebesbotschaft International: My personal advent calendar! True to the motto “I, too, can have a blast”, you are invited to throw a glance at my very own, personal advent calendar, which I – please note! – made just for myself this year. The fact that I would have bought some of these things anyway (because the hand cream was used up, e.g., or because I needed gloves), is beside the point here! Nobody can bar me from declaring all these beautiful things my personal advent calendar, fill it up to #24 and enjoy it, right? And I am in fact very, very happy about it! 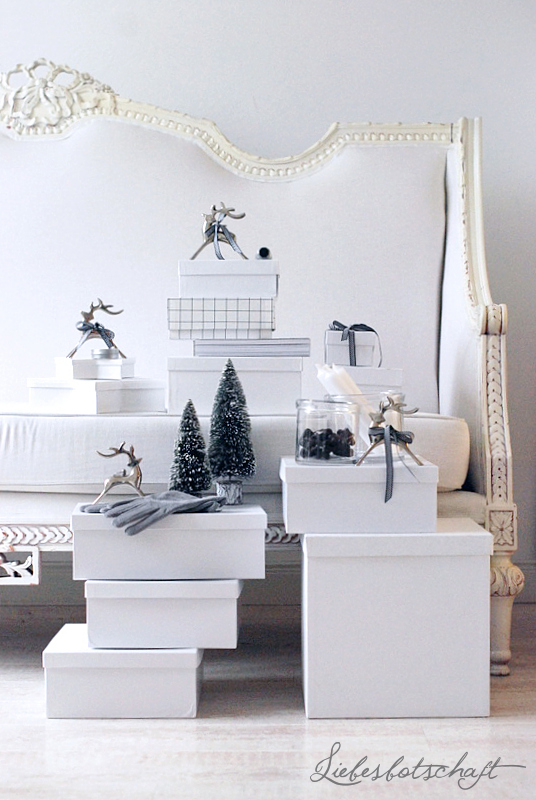 (No wonder: they are all my December must-haves and exactly what I wish for and consider beautiful ;)). Noelle commented yesterday that all of this won’t be a surprise – followed by me preaching about the contents of yesterday’s post, supported by the argument that a chocolate advent calendar does not exactly create the biggest surprise, surprise moment either. As soon as I am in the car, surrounded by heating and A/C, my lips turn extremely dry. The lip balm by Elisabeth Arden 8-hour cream does not only enjoy cult status, but actually nourishes the lips to a velvety softness – especially when lips are chapped and a little cracked. The tin is pretty, for sure, but a bit impractical for on the go – a better option to apply the balm is this tube I always used to have. 2. 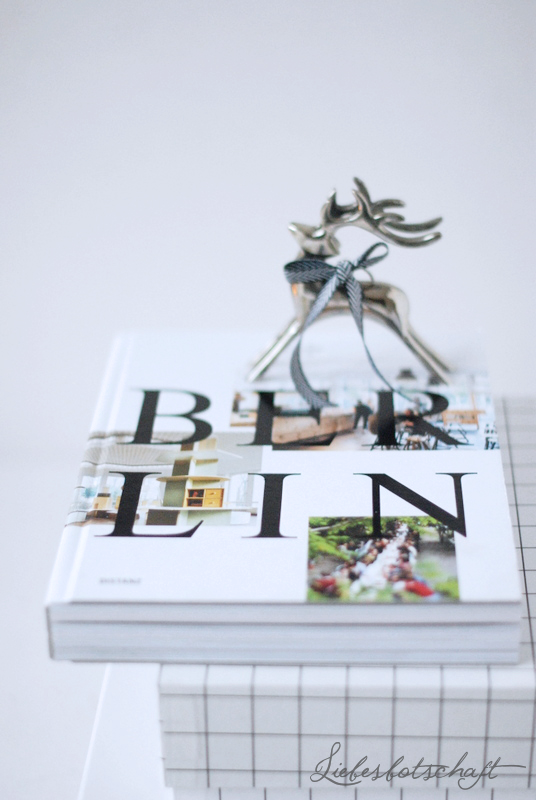 Cee Cee Berlin book. Brimming with insider tips, surprising new hotspots and particularly beautiful places far away from the usual tourist routes: Cee Cee’s book is of such high quality that it works as a coffee table book, yet simultaneously so interesting that you can hardly do without. Or did you know that you can have a Thai picnic in the park in summer, because this type of food is available in this very park? 4 pairs of new gloves. 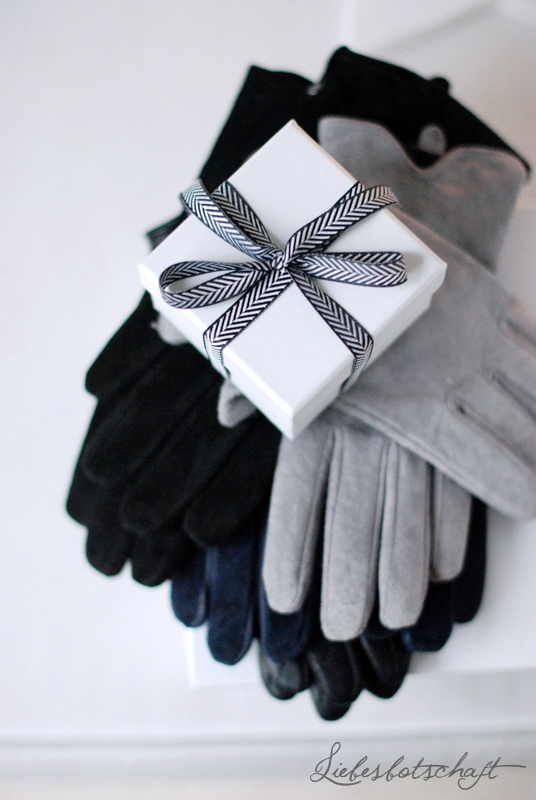 I lose one of my gloves every year – which means that theoretically I have a lot of them, but always just in one color. As this tends to constantly annoy me, I took action – with 1 pair each of grey and black gloves by Hallhuber, and 1 pair each of dark blue and black ones by Reserved. 7. Tickets for the Hobbit. The battle of five armies will be out on December 11. Ben and I can hardly wait and already reserved tickets. 8. Grey cashmere V-neck sweater by Darling Harbour. 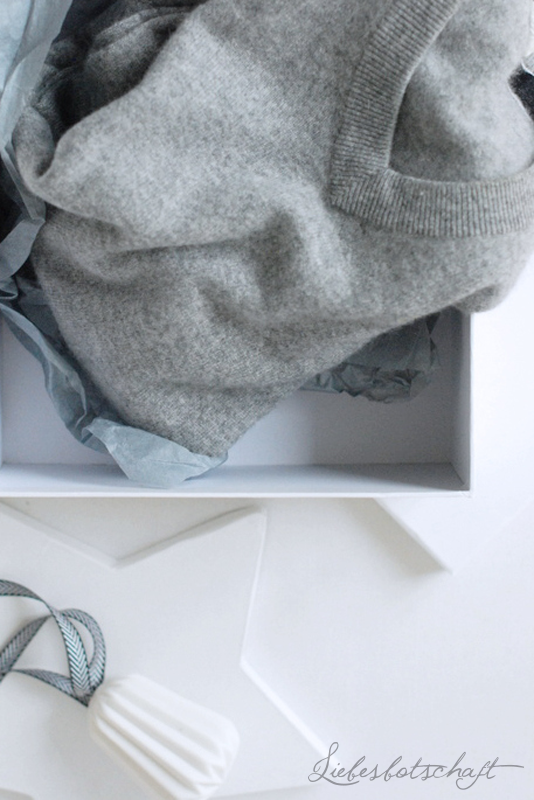 Admittedly I already own grey cashmere sweaters – but the most favorite of them did not survive the hot wash ☹. I have really enjoyed buying Darling Harbour sweaters for the past couple years, since their price-performance ratio is perfect and they are all cut beautifully. And a grey V-neck sweater is something you are guaranteed to wear all the time. 9. Lip balm by Clinique. Another one of my favorites: if you are looking for a truly rich, very protecting balm that will keep your lips from getting chapped, I recommend this one! The balm is rather viscous and last for a long time, since you only ever need a tiny bit. 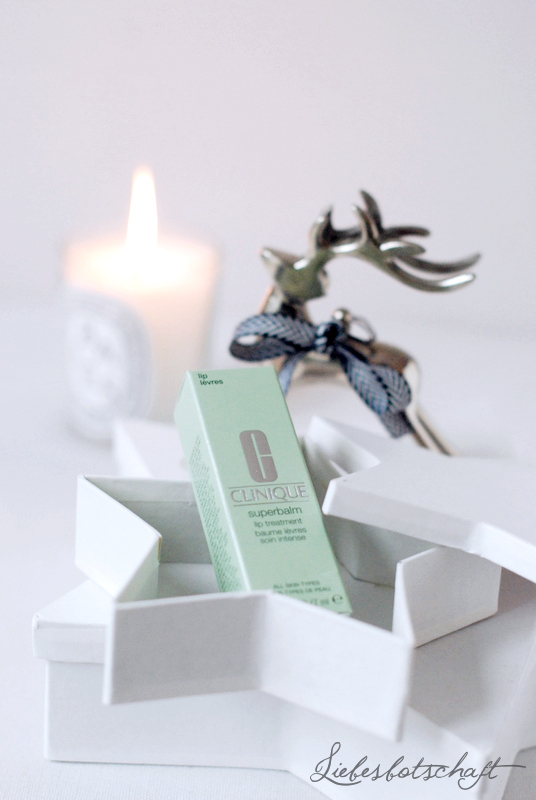 My advice: apply before going to bed, wake up to velvety soft lips. 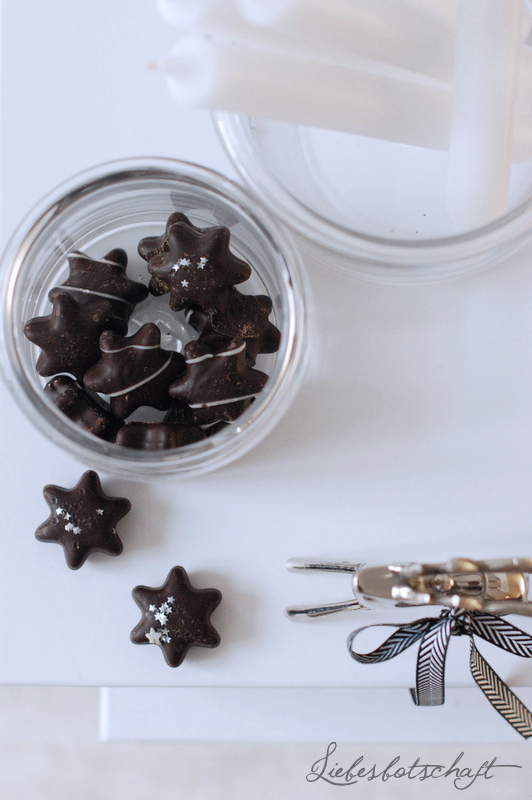 Star-shaped chocolate truffles by Breuninger Confiserie. I am extremely picky when it comes to chocolate – yet I could dive into these hand-made star truffles. This year with a filling of mulled wine and whiskey! (it’s actually my husband’s job to supply the stars. But he forgot about it this year. Me, too! So I was double delighted that I remembered again ;)). 21. 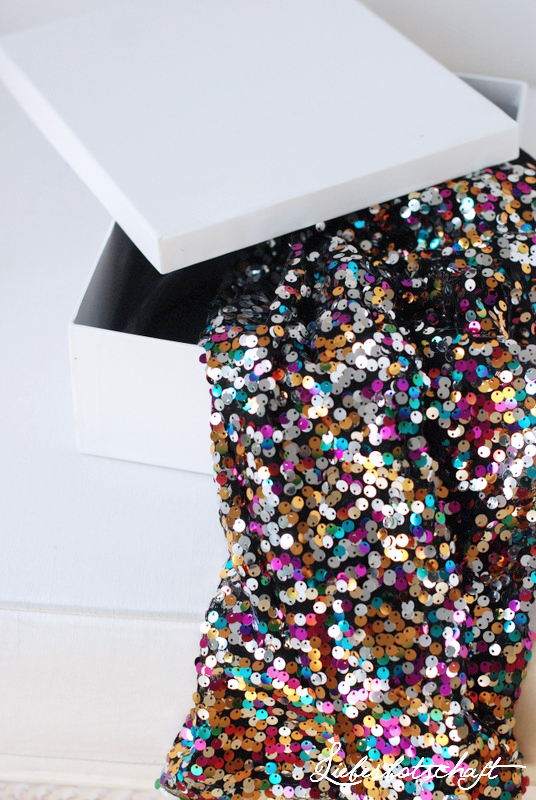 Sequin skirt by H&M. As you could see, I put the contents of this box to immediate use yesterday – as a glittery skirt has a very bad "cost per wear" balance, I decided to wear it as often as possible! Yesterday I took it to the museum and to drink hot chocolate with the children, followed by a quick visit to Urban Outfitters. I will take it to a ballet performance in the near future, to the movies and to the Christmas market for some mulled wine – it is really busy! For this reason it got its first outing in November already ;). 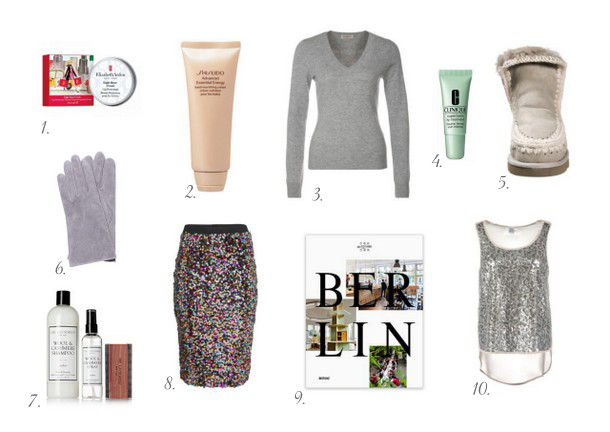 I wear the skirt with the Darling Harbour cashmere sweater and opaque tights to make it suitable for daily use. If this is too much glitter for you, you might like this lace skirt? It is festive with a little more understatement. 22. Tickets for a ballet performance. It was Noelle’s wish last winter already to go and see a ballet, so this year I went ahead and ordered tickets for Swan Lake. Whether it is the opera, theater or a classical concert: anything festive that asks for a glittery skirt is a great fit for the pre-Holidays time! All you need is a biggish city nearby, then google e.g. “Munich ballet” and you will end up with a selection of lovely performances. I have the Mou boots in grey this year and like them a lot! And I am not the only one ;). 24. Hand cream by Shiseido. 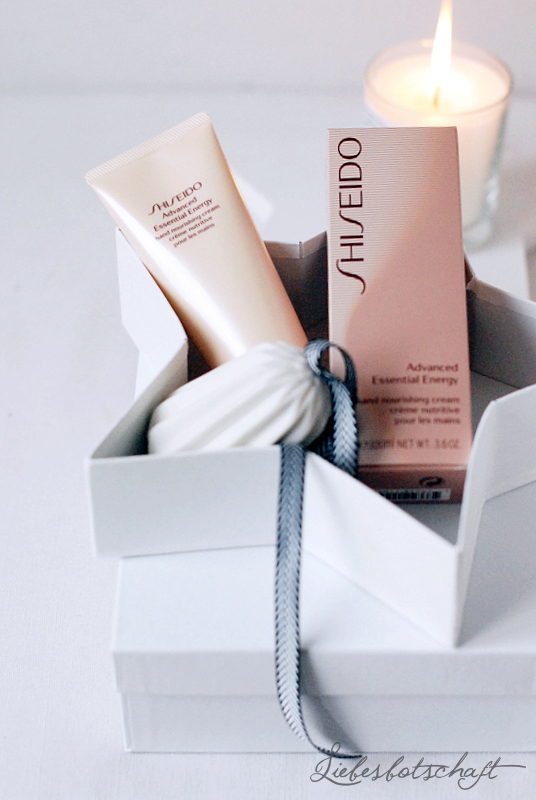 The advanced essential energy hand nourishing cream by Shiseido is in my opinion one of the best ones there are: my dry hands are no longer a problem and I don’t mind the anti aging either ;). The tube goes a long way and the cream is quickly absorbed. Some say it is the best hand cream in the world; I wouldn’t go as far as that, but I still think it’s ideal, especially if you have to wash your hands a lot, for example when doing household chores, etc.! When choosing 24 gifts just for yourself an instant feeling of appreciation and joy about yourself will arise – go ahead and try it! 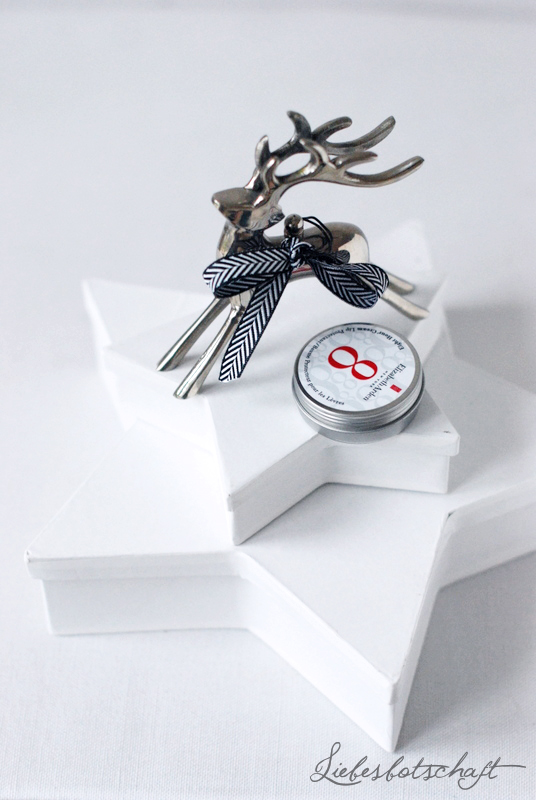 The focal point is not how expensive or big the contents is, it is important that they are all things that you personally like and enjoy – it can be as simple as a pair of lovely new socks, red nail varnish or an afternoon in your favorite coffee shop. Maybe it will inspire you, too, to pamper yourselves? 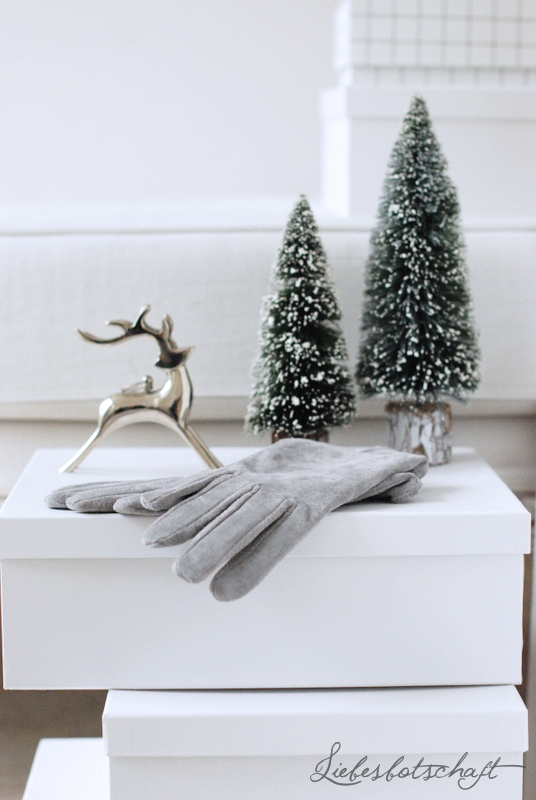 Once more my December must-haves at a glance – if you love cashmere as much as I do you will be happy about the great care items and the peeling comb! 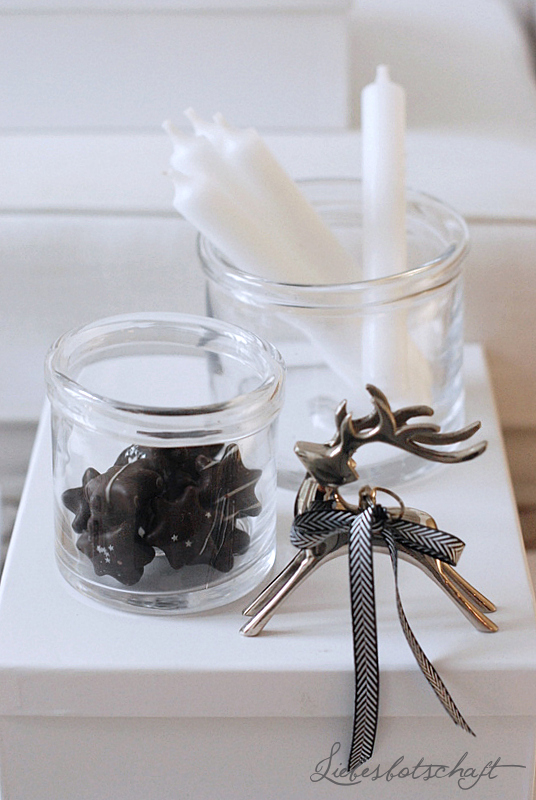 Which items do you not want to do without in your personal advent calendar? You will find it HERE and HERE! Originally I meant to link a Jazzy lounge playlist for this post. In reality, though, I keep humming this song the whole time. I have to pass on this catchy tune – you are welcome! This post was translated by Ginnell Studio, thank you so much!